The other day I was one the phone for a reeeeeaaaallllyy looooonng time. Like REALLY long time. I was catching up with a friend and we hadn't talked for a while, so there was a lot to talk about. Do you know the kind of phone call I'm talking about? The kind where you're kind of worn out afterwards but it was fun? Her husband came home from work, had a snack, they loaded the kids bikes in the van, he drove off and took the kids for a walk/ride around a lake and came home and we were STILL on the phone, ha! Anyways, while we were talking I thought I would see if I could use up some leftover yarn and attempt to spice up a tatty old chair (that really should be painted). The chair seems destined to remain in this funky empty corner in our living room, so I figured 'why not?' We talked and I weaved. I'm not going to yarn bomb the rest of the house or anything, but this was a fun way to do something different and use up some of the stuff I had on hand. I think it would have been fun to do each spindle a different color, along with more wrapping on the lower part of the chair, but I'm not going to sweat it. It may not stay for long, but it's kind of fun for now. What about you? 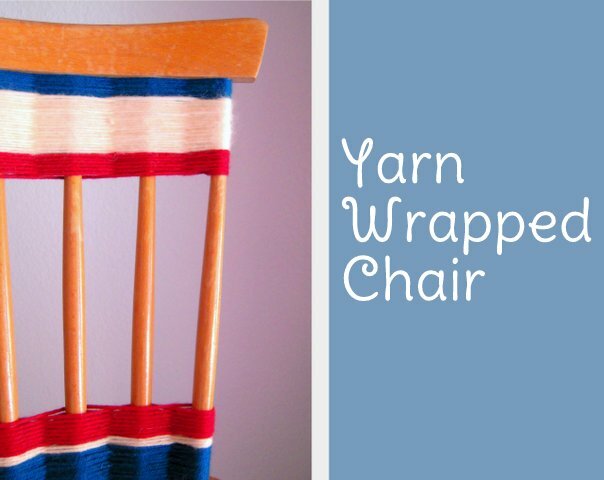 Have you yarn wrapped anything in your home? What do you do on eternal phone conversations? I have another friend I always have long talks with and we both clean our house while we talk to each other. I should probably call her more often...ha! Oh that's just great! I really love it - but I agree that it's good as it is; any more and it might start looking like the crazy yarn-wrapping lady got hold of it... "Less is More" definitely applies here. Love the stripes - and the extra little bits on the legs are cute, just enough to be quirky, without being silly or over-the-top. An afternoon well spent - looong phone call, plus excellent project, equals Success! What a wonderful idea. 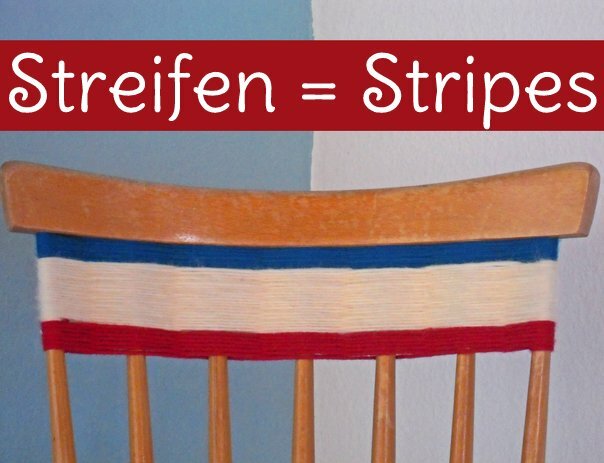 Since I'm into pastels at the moment, I'm thinking of wrapping on of my chairs with yarn in pastels. Each leg in a different color might look great, thanks a lot for the inspiration! What a great way to bring a pop of color into the house. What is great is that you can change it so easily. I love those kinds of phone calls! The chair is super cute! If you wanted to get REALLY ambitious, you could wrap it around each spindle too! 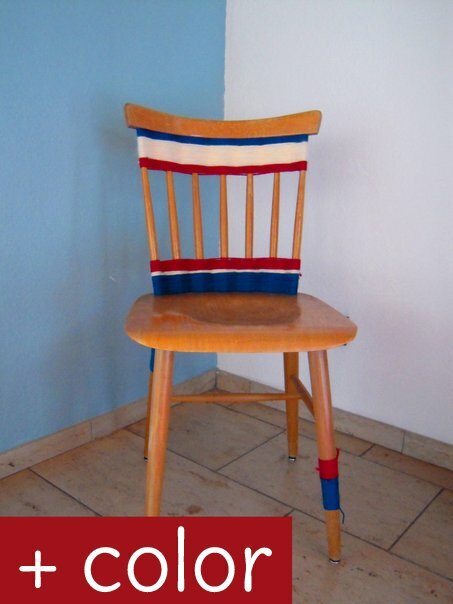 ich finde die Idee mit dem gewebten Stuhl echt klasse. Und in echt sieht er noch viel besser aus. Sei ganz lieb gegrüßt und dir und euch ein schönes Wochenende.